Progressive delivery is a special service that we offer to our valued clients when you place large, complex orders (20+ pages double-spaced or 10+pages single-spaced). Access to a dedicated personal manager who ensures that your order is completed successfully and who facilitates fast and efficient communication between you and your assigned writer. 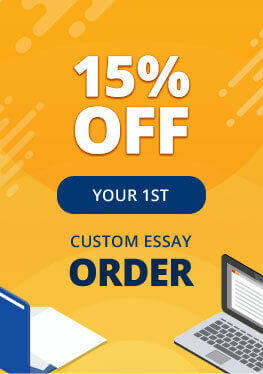 for orders due between 5 and 11 days – you would receive two drafts; the first within 25% of the due date with a length equal to 25% of the total, and a second within 50% of the due date with a length equal to half the full paper. The charge for these benefits is only 15% added to your order's original price. * Would you like to put together a custom plan for receiving your paper based on your preferences and the order's special requirements? No problem! Just discuss the details with the manager of your order and we can come up with an individual plan that best suits your needs. As an additional service, we can offer you a 1-page summary of the whole paper, focusing on the most important points. This is especially useful when your professor/instructor requires a report on the topic that you have chosen. When you request this service, you will receive a one-page draft (300 words for double-spaced orders or 600 words for single-spaced orders) of your paper at the halfway point between the order date and the deadline. For example, if you gave your writer 2 days to write the paper, you would receive a draft in 1 day. Our standard free revision window is within 48 hours of you receiving your order. But if you ask for our extended revision service, you will receive 14 days of free revisions!